You likely don’t have access to established equity to fund the down payment on your new home if you're a first-time home buyer. However, there are ways around this obstacle. 1. Adjust your budget and save. If you don’t have any money saved up for a down payment and you want to accumulate enough to buy a home as soon as possible, you’ll likely have to overhaul your budget. Set a timeline with achievable goals and work to meet them. 2. Pursue a specialized loan program. With an FHA mortgage, your down payment can be as low as 3.5% of the home purchase cost. If you qualify for a VA mortgage, you probably won’t have to make any down payment at all. Look into programs such as these and weigh your options. 3. Access your retirement savings. You can typically draw from your 401k or IRA without penalty if the funds are used as a down payment. See the stipulations of your retirement account. 4. Ask your family or friends for financial gifts. It sounds strange, but it’s not uncommon for families, especially parents, to pitch in and help cover a down payment. The money must come in the form of a gift, however, and not a loan. A loan will affect your credit score, which may alter your lender’s decision to lend to you. 5. 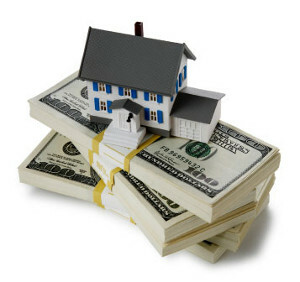 Have the seller pay closing costs. Some sellers agree to pay the closing costs in exchange for a higher purchase price. With these expense gone, you may have enough cash on hand to make your down payment. Not all sellers will agree to this, however. But it is an option.